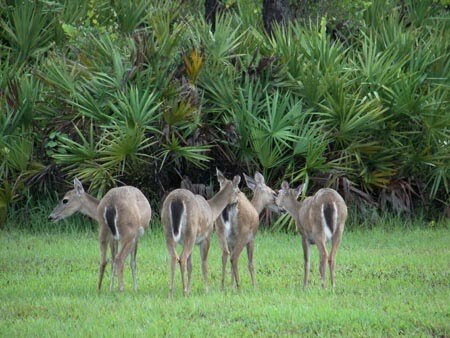 Babcock Ranch Preserve is offering Area Permits beginning on September 1, 2011. These permits will allow the permit holder and his/her choice of participants/guests to exercise recreational activities including limited exclusive hunting privileges in a designated area pursuant to the Area Permit Agreement. Permit areas are designated on the Tier 2 Area Map. The corresponding cost and acreage for each area is available on the Tier 2 Areas Information Sheet. Only the permit holder and his/her participants/guests will be allowed recreational privileges in the permit area reserved for the permit holder during the time period of the permit. All permits are renewable for up to 5 years at the sole discretion of Babcock Ranch Management, LLC. Camps will be allowed in designated locations and may remain in place during the dates covered by the permit. For information on obtaining a permit or site visits to permit areas call (941)639-3958 Ext. 3. For pricing see Tier 2 Information sheet below.